I'm working on a new template where I've been reducing down the roads and parks as background layers. 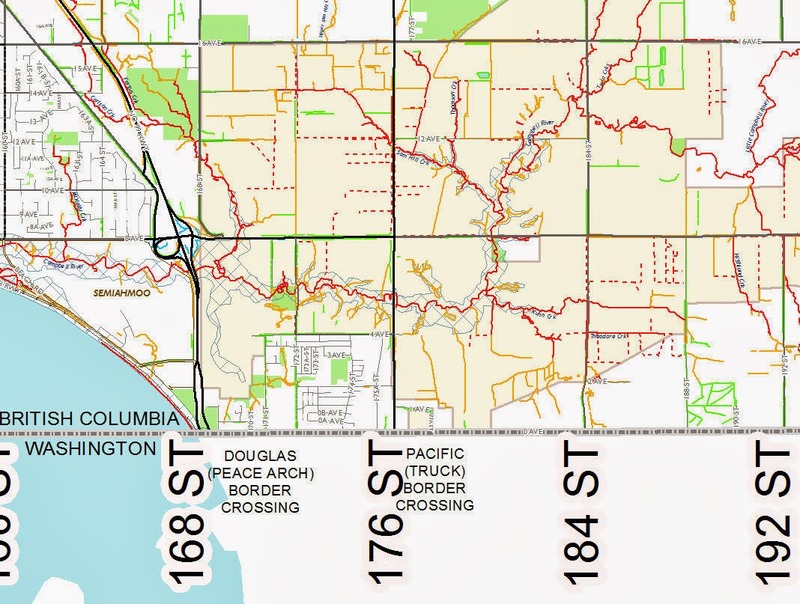 Here I've got the watercourses in south surrey as the main focus, colored with our standard symbology for fish habitat. Trying to find a green for parks that is fairly neutral is tough when one of your line symbols is a bright green.